About 3 years ago, Kristi and Bryan Schache of Dunlap were looking for a sports activity that their then 8-year-old twin sons Joshua and Jonathan could do together. 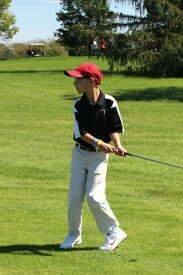 Traditional sports programs were not an option for Joshua because of physical limitations due to his disability. “We were looking for a place for Joshua to participate in organized sports, not just a family activity,” said Kristi. A church acquaintance mentioned that Heart of Illinois Special Recreation Association (HISRA) offers sports for those with disabilities. Not knowing what HISRA offered, Kristi looked into it and liked what she learned. 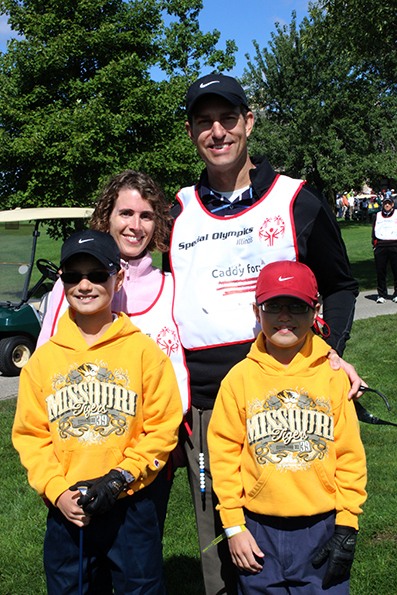 Unified Golf was a great option because it combined sports with family relationships, she said. 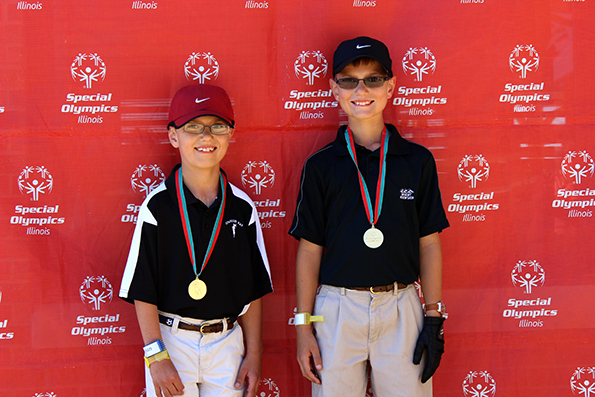 Fast forward three years – Joshua and Jonathan, now 10 years old, just returned from the 2014 Special Olympics Illinois Outdoor Sports Festival in Decatur with gold medals in Unified golf! Last year, Joshua’s medical paperwork allowing him to ride in a cart was not completed for the Outdoor Sports Festival. 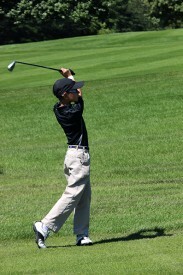 He walked the entire course both days and was so exhausted after competition that the family didn’t make it to the Opening Ceremony or dinner/dance afterward. Joshua is growing stronger and “we’re amazed at how much less fatigued he is compared to last year,” said Kristi.